It's Babywise Friendly Blog Network Day, and I'm excited to have Kimberly from Team Cartwright guest posting here today. And she's talking about one of my favorite things.... Books! You can find me over at Twinning Babywise sharing My Favorite Kids' Discipleship Tools. 1) The Harry Potter Series by JK Rowling. Come on, do I really need to explain this one? I know this is on the list for almost everyone. They are classics! And they have everything. Themes of good versus evil, standing up for your friends, standing up against your friends, bullying, inequality, learning, teamwork, facing up to consequences, honesty, hard work, candy, family, believing in something more than your self, and so much more. These books have so much to talk about. Not to mention they are just beautiful and create a whole different world to dive into. I can't wait to share this world with my kids. 2) The Little House on the Prairie Series by Laura Ingalls Wilder. I loved these books as a kid. Even as an adult they inspire me to work hard and make the most of what I have. They encourage me to be grateful for all in my life. I like the lessons of hard work, honestly, and always doing your best. Plus they are pretty true to the time! A lot of research has been done into the stories and they are pretty accurate. I don't know a ton about farming or living on the prairie, but what I do know I owe to these books. 3) Where the Sidewalk Ends and other Shel Silverstein books. These poems are so silly and fun. Poetry is beautiful. It can be a great way to express your feelings and just have fun with language. I don't want poetry to feel inaccessible to my kids, or for them to feel like it doesn't apply to their lives. These fun silly poems are a great way to introduce this style of writing to them. 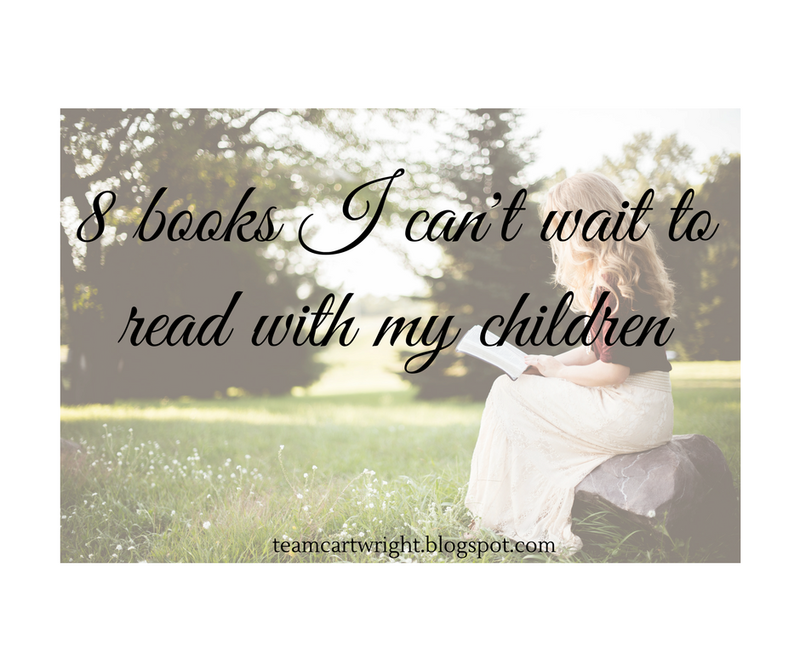 I can start most of these when the kids are pretty young too! 4) The Westing Game by Ellen Raskin. I remember this book as one of the first mysteries I read. It was one of the first books that kept me on the edge of my seat trying to figure out what would happen next. I still love a good mystery, riddle, or challenge. I hope my kids enjoy learning new facts and putting puzzles together to find answers. 5) The Giver by Lois Lowry. This was the first dystopian book a lot of us read as kids. Yes, there are a ton out now. (And yes I have read what feels like all of them:) ) But this one I think is one of the first. This book lets us really dive into the ideas of what negative experiences and feelings add to our lives. Would we really know happiness if we never felt any pain? And who has the right to decide what is best for us? There are companion novels to this one I would like to read as well, but the Giver is the best of the group. 6) Thirteen Reasons Why by Jay Asher. This one may have to wait until the kids are a little older. It might be a tough read for a kid, but I think it is an important one that will be worthwhile to go through with my kids. It shows how your little actions can add up to big things for other people. Standing by and letting bullying take place can be a bad as being the bully his or herself. I hope it helps my kids start to learn to see people beyond what their label at school is, and try to reach out and show kindness to others. 7) Choose Your Own Adventures books . I loved these books as a kid, and so did my older brother. I am looking forward to discussing the choices we will get to make in the books, and how the choices lead to different outcomes. I have still seen these in the library, and they have been updated to reflect more modern culture! There are topics like surviving an artificial intelligence uprising or a zombie infestation. Things kids today might be interested in. I remember these books being exciting, which I think will help keep busy kids interested in reading. 8) From the Mixed-up Files of Mrs. Basil E. Frankweiler by E.L. Konigsburg. This is another early mystery book, It was also the first book I read where the kids up and ran off on their own. They had to take care of themselves and work to solve a mystery. I never actually went off on any crazy adventures as a kid myself, but it encouraged me to day dream and think about possibilities I hadn't considered before. Plus, it has siblings working together- this could be a handy lesson. These are just a few of the books I'm looking forward to my kids reading as they get older. I hope they enjoy them as much as I did. I can't wait to see what books they introduce me to as well! My goal is to have a house of readers, and I know I can help that by sharing my joy of books. Kim has a three and a half year old son and one year old twin daughters. She loves to read and blogs at teamcartwright.blogspot.com.